Are There Any Disadvantages Associated With Paying off a Mortgage Early? I’m often asked if it makes sense to pay off a mortgage early or invest the cash in the markets. As is often the case in personal finance, the answer is, wait for it…..it depends. The disadvantages, if any, may stem from the financial trade-offs that a mortgage holder needs to make when paying off the mortgage. Paying it off typically requires a cash outlay equal to the amount of the principal. If the principal is sizeable, this payment could potentially jeopardize a middle-income family’s ability to save for retirement, invest for college, maintain an emergency fund, and take care of other financial needs. Your feelings about debt — Some homeowners like the feeling of security that comes with owning a home free and clear. Knowing this may help you sleep better at night. If this describes you, it may be to your benefit to pay off or reduce the size of your mortgage. Should conditions in your local real estate market decline, there’s less of a chance of owing more than you own. Your current interest rate — If you currently have a low fixed interest mortgage rate, and having mortgage debt doesn’t bother you much, then investing the sum may yield better after-tax returns. Just keep in mind that markets may move down, so there is a risk here. You should discuss this option with your financial planner so you understand it well. Your timeline until retirement — If your mortgage is relatively small and you pay it off, you may be able to invest the money formerly used for mortgage payments for retirement or other long-term goals. Your timeline until retirement may be a factor when making this decision. With 10 years or more remaining until you expect to retire, you could have time to build a nest egg if you invest the money formerly used to pay a mortgage. If you plan to retire sooner, entering retirement without a mortgage could provide you with more flexibility during your later years. 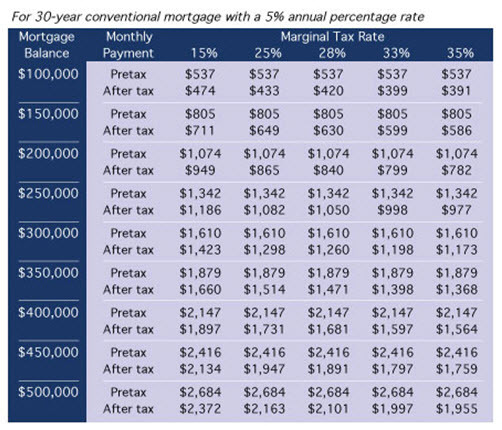 Your tax savings — Mortgage interest typically is tax deductible. During the early years of a mortgage, when the interest payments are highest, many homeowners benefit from a sizeable deduction. This could be important if you are in a higher tax bracket. If your interest payments are relatively low, the tax savings could be less of a factor. The amount of your other itemized deductions may be a factor if their total is close to your standard deduction. Your future plans — Owning a home outright could be an advantage if you plan to sell it during the next few years. You could potentially leave your existing residence with more home equity. Your overall debt load — If you are carrying other forms of debt, such as credit card balances or a college loan, consider whether you could benefit from paying off other debt first before reducing or eliminating your mortgage. There is no “right” answer for everyone when it comes to potentially paying off a mortgage. Consider your feelings about debt, current interest rate, your timeline with respect to long-term goals, your tax savings, and other factors before making a decision that is in your best interest. One of the big benefits of home ownership is the mortgage interest deduction. The federal government lets you deduct mortgage interest on a first or second home, up to $1 million per year. If you would like to review your current mortgage payoff options, your investment portfolio or discuss any other financial planning matters, please don’t hesitate to contact us or visit our website at http://www.ydfs.com. We are a fee-only fiduciary financial planning firm that always puts your interests first. If you are not a client yet, an initial consultation is complimentary and there is never any pressure or hidden sales pitch.